If you are still looking for vacation ideas for this summer and fall, here are some great vacation and hotel deals for the low season from the best destinations on the Caribbean. On the top of the table you can find a Punta Cana vacation for 5 nights from $649 per person. Hurry, the sale may end soon and if you book, you can save up to 30% off current rates if you travel between November 1 and December 23 2015. If you check the other deals you will also find a Riviera Maya getaway at Grand Bahia Principe Coba for $499 per person, 4 nights all-inclusive escape at Riu Palace Las Americas in Cancun for $649 pp, the Sheraton Hacienda del Mar Golf & Spa Resort in Los Cabos for $204 per night and more. Act fast, these offers may sell out in a glance! The price of the vacation package includes a flight from Fort Lauderdale to Punta Cana, 5 nights at the VIK Hotel Arena Blanca, all-inclusive services and taxes. You will stay in a Garden View Room with a furnished private balcony, mini bar with water, sodas and beer and one double bed or two queen beds. You will also love the view over the beautiful gardens around the hotel. Take a look at the offers of some other providers as well. 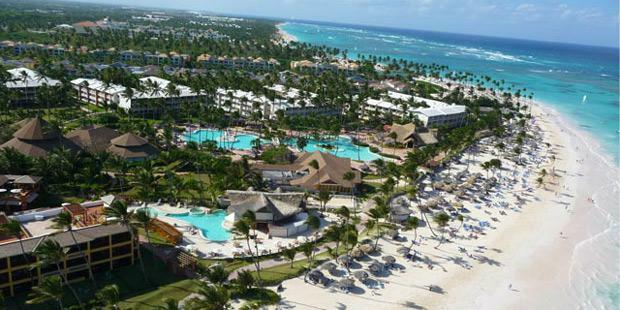 Compare their prices for similar Punta Cana vacation deals and you may find a better one than ours!